It is with the deepest sorrow that the International Medical Alliance of Tennessee announces that Dr. Marc Pinard, with whom we have worked closely for the last ten years, collapsed and died suddenly on Thursday, April 15, 2010, at Jimani, the Dominican Republic. support to numerous needy individuals and facilities in both Haiti and the Dominican Republic, through his organizations El Buen Samaritano, Mision Global and Le Bon Samaritan. Dr. Pinard was well known and enormously respected by the entire border community of Independence Province, medical, public health, governmental and military officials, as well as by local and international clergy, church members and individuals. 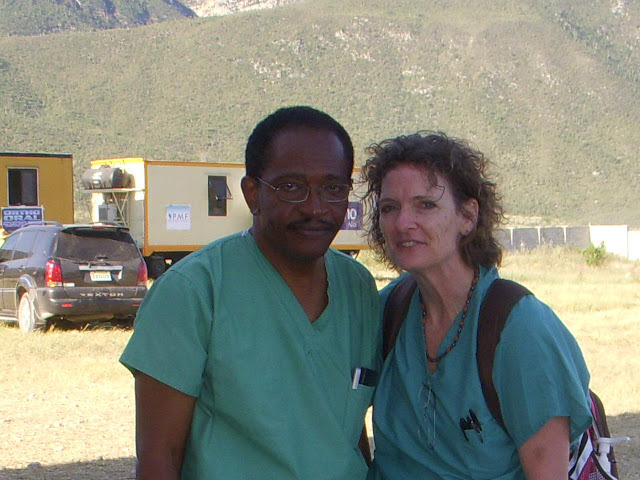 During the last three months of his life, Dr. Pinard provided disaster trauma care to the victims of the Haitian earthquake, when the Buen Samaritano Hospital in Jimani Viejo, provided 5835 patient-care days to a maximum census of 343, performed 776 emergency surgeries, and hosted over 1000 volunteers from nine different countries. In death Dr. Pinard will be honored and remembered by all who revered him by the continuation and furtherance of his life's work. The establishment of a memorial fund will be announced shortly. A full obituary is to follow. Funeral arrangements are pending. Dr. Pinard selflessly devoted the last fifteen years of his life to providing charitable medical care, feeding programs and hospital and orphanage support to numerous needy individuals and facilities in both Haiti and the Dominican Republic, through his organizations El Buen Samaritano, Mision Global and Le Bon Samaritan. Dr. Pinard was well known and enormously respected by the entire border community of Independence Province, medical, public health, governmental and military officials, as well as by local and international clergy, church members and individuals.